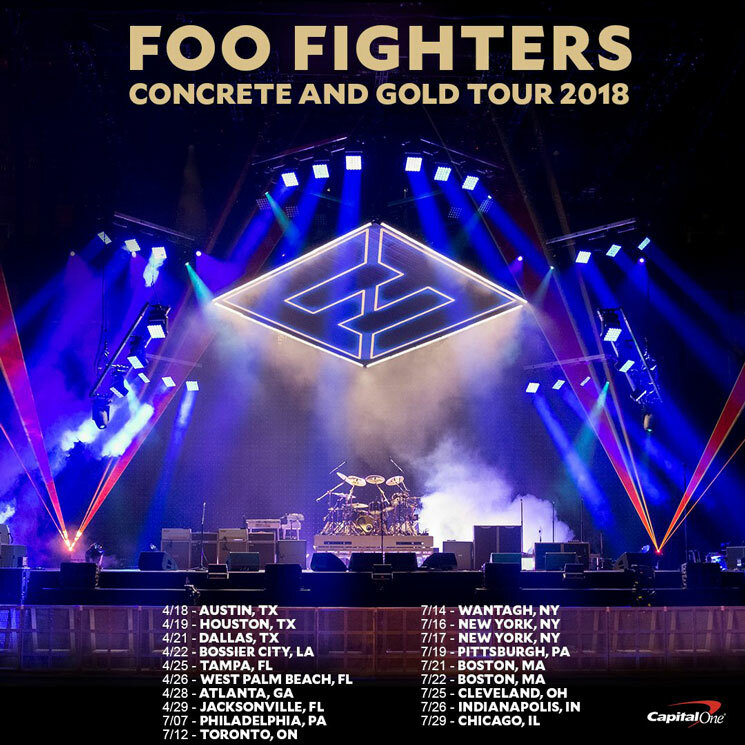 Foo Fighters are set to hit North America in support of their Concrete and Gold LP throughout November and December, but that isn't stopping them for rolling out another leg of live dates on the continent. The month of April will find the band playing dates in the southern United States before returning to North America in July. A lone Canadian stop on the tour will bring them to Toronto's Rogers Centre on July 12. Tickets for the run of dates go on sale to the general public November 3, while a pre-sale will take place October 30. You can sign up for the latter here. Check out the newly announced leg of dates below and all the band's upcoming stops over here.